Every Wednesday, beginning July 24, is Free & Easy Wednesday. Receive FREE Stretch Run Admission, FREE Program and a FREE Seat. We're adding more surf to the turf with $3 fish or carnitas tacos served fresh from the Brigantine in the Plaza de Mexico and $6 pints of Coors Light throughout the facility. Must be a Diamond Club member and scan your membership card at designated Admission Gates and Concession stands. 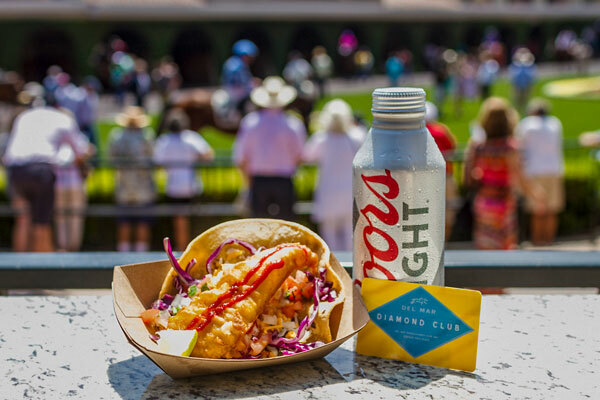 Sign up for a free membership through the Del Mar mobile app today and save time at the gate. *Does not include Opening Day, July 17.